With a couple of clicks, a photo appeared on the Burundian human rights activist’s computer screen: a hillside; a prone, male body, its severed head lying next to it; another man, naked, sitting, ankles and wrists bound, still alive when the photo was taken but since deceased; the uniformed legs of several other men, allegedly police, standing over the scene; the back of a jeep-type vehicle. 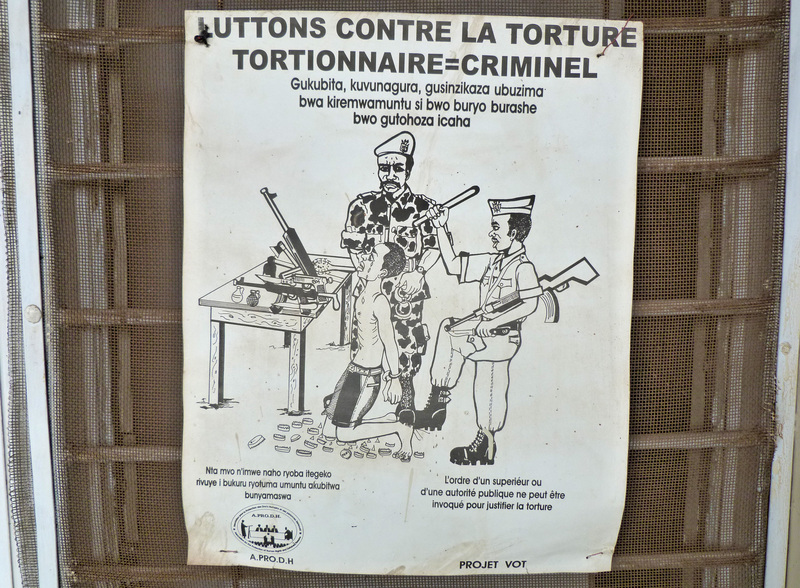 “This is reality,” said Pierre-Claver Mbonimpa, chairman of the Association for the Protection of Human and Prisoners’ Rights, in his small Bujumbura office, adding that the photo was taken in April 2011. He showed IRIN another photo, this one of the corpse of a man who Mbonimpa said had received 36 gunshots to the head. He said all three men were members of parties opposed to the government. “After the elections of 2010, there were many executions of people belonging to opposition parties,” he said. The UN’s figure for politically-related extrajudicial killings in 2011 is 61. A Burundian commission of inquiry set up in June 2012 found that no killings in the country met the internationally accepted definition of “extrajudicial”. “In 2012, so far we have counted 15 people who were extrajudicially executed. You can’t say things are getting better because fewer people are being killed. For us, we need zero,” Mbonimpa said. Members of opposition parties feel “terrorized,” and are often followed, preventing them from carrying out party activity, he continued. Leonce Ngendakumana, Chairman of ADC Ikibiri, an alliance of 10 opposition parties, told IRIN that arrested members of National Liberation Forces (FNL), which was a rebel group during Burundi’s 1993 to 2005 civil war), were the most common target of such killings. “There are no prosecutions. The body is found in a river or left in the bush, or he disappears to who knows where. They tell us, ‘we’ve released him, we don’t know where he is,’” said Ngendakumana. “We must start to punish those who commit the crimes we are seeing. Otherwise, what will happen? Everyone will do as they like. A man and his wife might argue over something small, and the stronger one kills the other. There’s no investigation, no prosecution. Can you understand this kind of society?” he said. When asked about extrajudicial killings, police spokesman Elie Bizindavyi, referred IRIN to the commission’s report and denied the existence of an institutional problem within the force. “We would like human rights activists or others to name an individual, any one, in any crime, not accuse the ensemble of the police,” he said. “If a policeman commits a reprehensible crime, he will answer for it like any other citizen. We have some policemen before the courts, and this shows that a policeman who is guilty is not protected, is not above the law,” he said. The government insists that the killings cited by human rights activists and the UN, far from being targeted assassinations of opposition supporters, were the result of banditry, land disputes or score-settling between civilians. 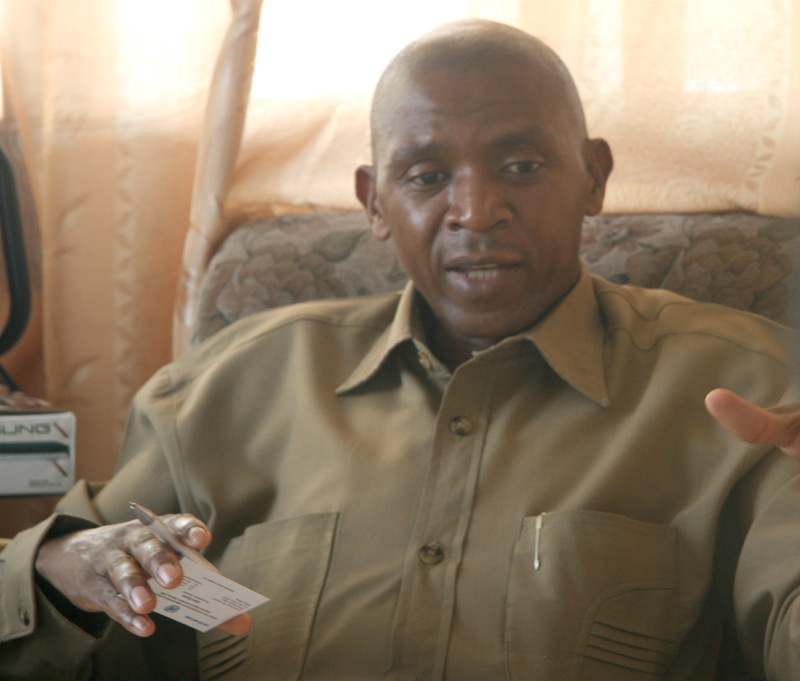 In some cases, they blame firefights between security forces and armed youths they say were sent into Burundi by FNL leader Agathon Rwasa, who has long been rumoured to be remobilizing in neighbouring Democratic Republic of Congo. “If someone has a gun, how can you take him to the police station when he has started shooting?” said Pascal Nyabenda, chairman of the ruling CNDD-FDD (‘Conseil national pour la defense de la democratie-Forces pour la defense de la democratie’) party. “What I don’t appreciate is that the people who sent those young people to come to Burundi to disturb security, they are not blamed. They just blame the police or the army, as if those people who come with guns from outside were right. No, they are not right,” he told IRIN. Pacifique Nininahazwe, chairman of the Forum for Strengthening of Civil Society - a group of 146 organizations - also dismissed the official explanation for the killings. “How can you explain that people are killed in the same way: arrested at home by people in uniform, taken away in police pick-ups, and later their bodies are found in the hills and rivers?” he told IRIN. “The modus operandi is the same all over the country. The target is the same, FNL members. How can they shoot when they are already arrested? [Sometimes] the head is thrown in a latrine and the body on a hill, and the family can’t bury them together because the head is already buried and they [the police] refuse to disinter it. “[The victims are] buried quickly, not identified. There is no investigation, there is no justice,” he said.